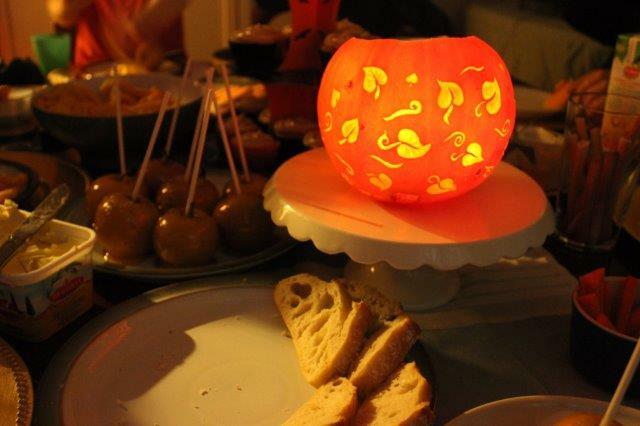 < A ‘Happy’ Halloween Party even if you don’t like Halloween! Happy Halloween to those who are celebrating today! 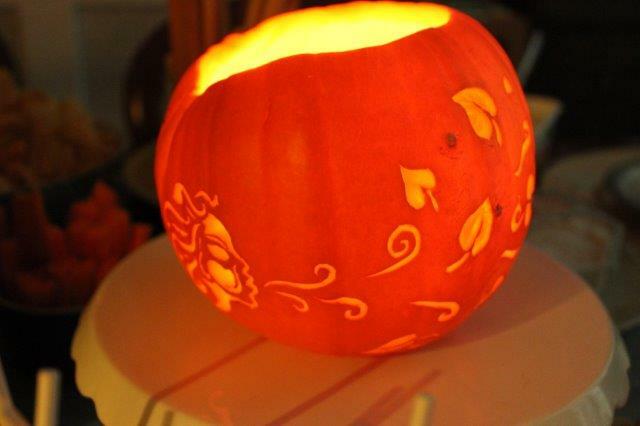 I just thought I’d pop up a few photos of our pumpkins this year. They were carved by my husband who I really think has a talent for turning vegetables into art! He usually looks online to see what others have carved and either recreates them or uses them as inspiration for his own design. I might even get him to carve us some more once these ones have wilted. 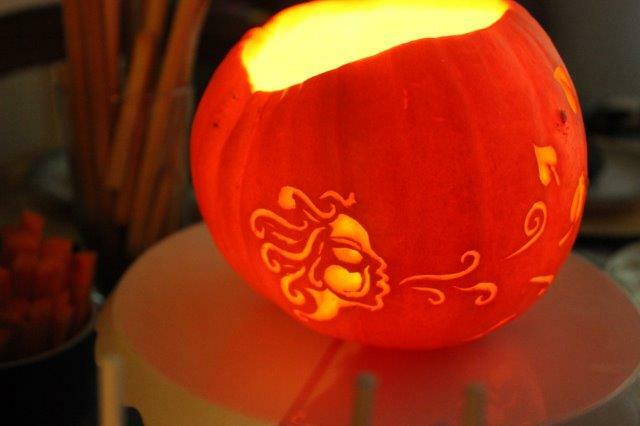 This pumpkin is a truly 360 degree design with a figure blowing leaves the entire way around. I think it gives the pumpkin a lovely autumnal feel. 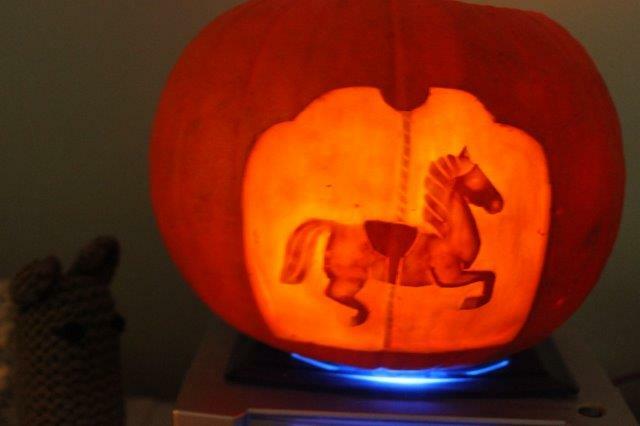 This is our second pumpkin with a dreamlike carousel horse. This entry was posted in Tutorials and tagged autumnal, blow, carousel, carousel horse, carved pumpkin, happy, leaves, pumpkin, pumpkin carving, sutumn, wind. Bookmark the permalink.